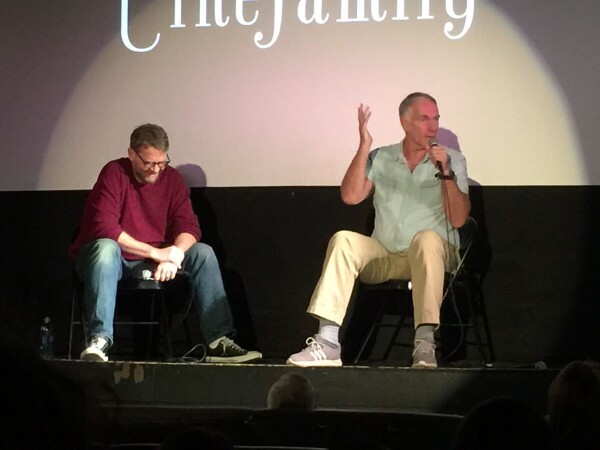 The WGA Foundation presented a Master Class today with John Sayles, shown here with moderator and writer Josh Olson (History of Violence). Sayles is known for his many indie films that he wrote and directed with funds from writing Hollywood screenplays. He impressed us all with his intelligence and openness. He discussed how he got his start by writing novels and then transitioned to screenwriting for Roger Corman. He tends to write quickly, doing a first draft of a screenplay in two weeks. He shared some tricks that I’m going to try and if they work for me, I’ll share in my next workshop. 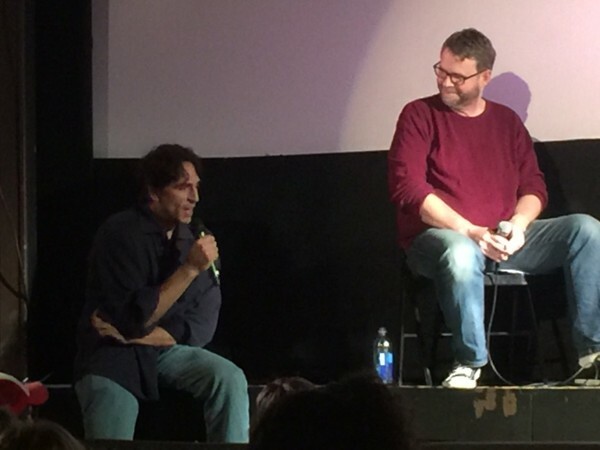 Actor Vincent Spano joins in at the end to tell a couple of on-set stories where Sayles took care of his actor. One involved Vincent crashing the camera car (he was a New Yorker who had never driven before). Sayles – instead of yelling at him – told him a story how he once crashed a rental car before he even got out of the parking lot. I’ve been in the writing cave, but this was well worth a couple of hours away from the computer.